SMART High Reliability Solutions provides reliable, rugged, shock resistance and secure solid-state drives (SSDs) for applications used throughout the army and defence industry. To ensure security in high-risk and high-privacy environments, SMART HRS encrypts the data with AES 256b, preventing unauthorised user access. Additionally, write protection is also used ensuring that no data is accidently overwritten. Secure data elimination technology (SDET) is also supplied with the SMART HRS S3 solution. This meets the US Government Agency declassification standards and is triggered by either the software or hardware. Extremely reliable, SMART SSDs are solid state providing increased performance stability. SSDs are ultra-rugged and can cope with extreme environments that routinely occur in military situations. Designed to meet MIL-STD-810G specifications, SSDs resist shock and vibration that can arise in in military, armoured, ground transportation, and UAV applications. Temperatures of -40°C to 85°C are a standard feature for the SMART HRS drives. 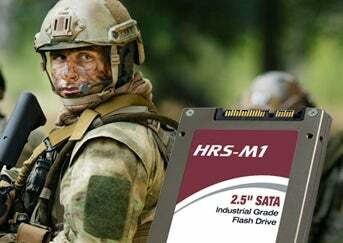 SMART HRS SSDs are also produced with optional conformal coatings and component under fill, which adds to their consistent performance in differing military environments. Because the military has a wide array of individual applications, SMART offers a variety of SSDs that provide unique capabilities designed to meet each user’s particular need. SMART HRS has the drives you need for storage application. If the application is also for rugged, secure needs, the SMART HRS S3 is the ideal choice. The SMART HRS S3 can be ordered with up to 1TB of storage. For high reliability, users should consider the SMART HRS M1. It blends high performance, ruggedness and a cost competitive MLC technology. 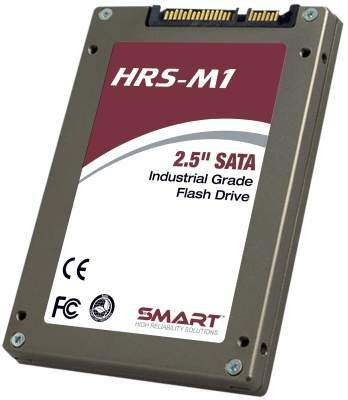 The SMART HRS M1 can be ordered with up to 2TB. SMART Global Holdings, parent company of SMART Modular Technologies, has announced the appointment of Bryan Ingram, Senior Vice President and General Manager of the Wireless Semiconductor Division of Broadcom, to its board of directors and Compensation Committee, effective from 2 October 2018. ATA solid state drives (SSDs) combine high performance, superior reliability and data security into a single ruggedised design, making it the ideal storage solution for many demanding defence, industrial automation, transportation, medical and telecommunication applications. SMART High Reliability Solutions™ HRS-S3 2.5in SATA solid state drives (SSDs) deliver high-performance, high-capacity storage solutions optimised for defence, aerospace and other applications requiring durable, rugged and secure storage. SMART High Reliability Solutions (SMART HRS) constructs ruggedised and reliable solid-state drives for military and other secure applications. SMART HRS has released a new highly ruggedised, 8TB multi-level cell (MLC) Flash technology solution to applications requiring high-density storage for use in hazardous and / or critical environments. SMART High Reliability Solutions ('SMART HRS'), a provider of current and next-generation, solid-state storage solutions specialising in ruggedised, high-performance and high-capacity solid-state drives (SSDs) for defence, aerospace and industrial markets, has released its new HRS-M2 2.5in SATA 6Gb/s SSD. SMART High Reliability Solutions (SMART HRS) is showcasing its HRS-M1 2.5in SATA 6 gigabites per second (Gb/s) SSD. The M1 has been successfully sampled with key customers and is now available in volume quantities to qualified customers.